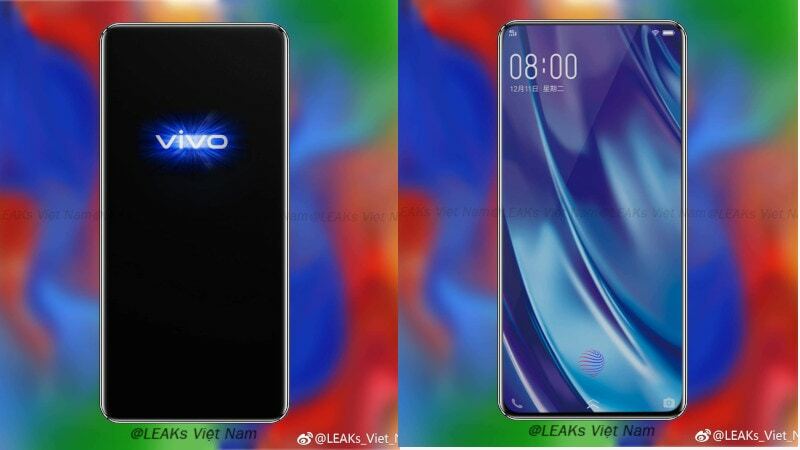 A number of alleged renders of the Vivo Apex 2019 smartphone have been spotted on Weibo and Instagram, shared by Leak_Viet_Nam and venyageskin1 respectively, with the latter being concept renders based on leaks. These renders show a design with rounded corners and curved back, with almost non-existent bezels on the top and sides. However, the bottom of the display does have bare minimum bezel. There doesn’t seem to be a front camera on the phone, at least not visible in the leaked renders. On the back, the renders reveal the presence of the dual camera setup along with an LED flash. Also, the fingerprint graphic in one of the renders suggests the existence of the an in-display fingerprint sensor. Codenamed Waterdrop, the Vivo Apex 2019 succeeds the company’s Apex concept phone that was unveiled last year. The Vivo Apex was released in the market under the Nex moniker, but the phone was missing some of the features that were showcased as a part of Vivo Apex. As per the leaks until now, the Apex 2019 will feature bezelless design and sport a liquid-metal chassis. This bezelless design can also be seen in the leaked renders, but we are yet to get a confirmation about the liquid-metal aspect. Among other details that we know so far about the phone, it is said to be carrying the model number EKI1831.